Visiting 50 ports of call in 32 countries from January through May 2022, this singular circumnavigation aboard Crystal Serenity is easily personalized with five choices for you to join or leave the ship in Miami, Los Angeles and Monte Carlo. Options range from 86 to 116 nights and each offers Full World Cruise benefits. Showcasing access to more than 50 UNESCO World Heritage sites, the epic journey explores Polynesian isles and Greek lands steeped in myth, marvels of man in the Valley of Kings, Pink City of Petra and Panama Canal, and monuments of wonder throughout the Holy Land, Black Sea and Mediterranean. Circumnavigate the globe from Miami or Los Angeles on an odyssey exploring New Zealand, Australia, Bali, Sri Lanka and India. Journey on to discover the sheikdom of Oman, the treasures of Istanbul and historic ports in the Black Sea. Navigate the Mediterranean and choose to disembark in Monte Carlo or enjoy an Atlantic crossing until you arrive full circle, enriched and enlightened. With Crystal, discover a world Where Luxury Is Personal. Book you by April 30, 2019 for savings of up to $20,000 per suite. All offers may not be combinable with other promotions, apply to first two full-fare guests in stateroom or suite, are capacity controlled and subject to availability and may be withdrawn or changed at any time without notice. Other restrictions apply. Ask for details. All itineraries, programs and policies are subject to change without notice at the discretion of Crystal Cruises. Crystal guests who sailed on 2019 World Cruise and those with existing deposits on 2020 World Cruise and/or 2021 World Cruise may enjoy a special 2022 World Cruise deposit schedule as follows: For 2022 World Cruise (all categories), a cruise deposit of 15% per guest with an additional 10% cruise deposit per guest required by January 15, 2020. For those guests without a deposit on 2020 World Cruise and/or 2021 World Cruise, a cruise deposit of 25% per guest will be required at the time of booking of 2022 World Cruise. *Does not include express laundry. Does not include medications, extended treatment or shoreside treatment/facilities. *Priority Booking Window is available for previous, current, and future Full World Cruise guests. **Crystal guests sailing on 2019 World Cruise and those with existing deposits on 2020 World Cruise and/or 2021 World Cruise may enjoy a special 2022 World Cruise deposit schedule as follows: For 2022 World Cruise (all categories), a cruise deposit of 15% per guest with an additional 10% cruise deposit per guest required by January 15, 2020. For those guests without a deposit on 2020 World Cruise and/or 2021 World Cruise, a cruise deposit of 25% per guest will be required at the time of booking of 2022 World Cruise. A "World's Best" from Travel + Leisure Magazine, August 2018 ©Time Inc. Affluent Media Group. Travel + Leisure® and 'World's Best Awards' are trademarks of Time Inc. Affluent Media Group and used under license. Travel + Leisure and Time Inc. 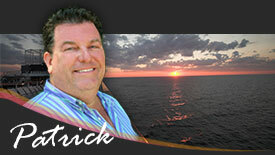 Affluent Media Group are not affiliated with, and do not endorse products or services of, Crystal Cruises, LLC. 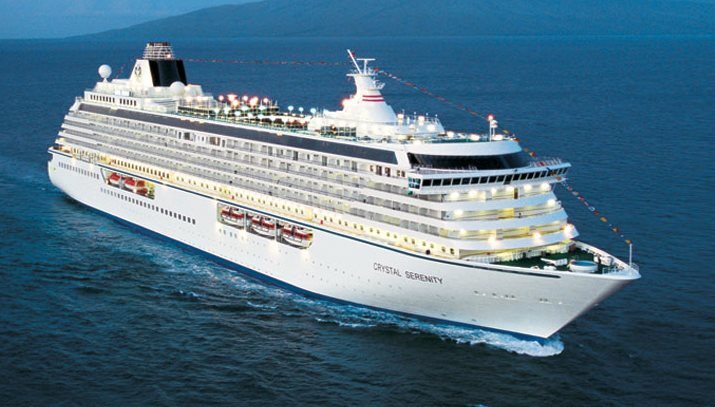 Crystal, Crystal Cruises, Crystal Serenity, Crystal Symphony, Crystal Mahler, Crystal Mozart, Crystal Bach, Crystal Debussy, Crystal Ravel, Crystal Esprit, Crystal Endeavor, and Crystal Experience are all registered trademarks of Crystal Cruises LLC.